Scrapbooking is one of my passions. It’s no surprise; when I was a young child my father (a history teacher) dubbed me the “family historian”. I have always been fascinated with family relationships and their history. When I discovered scrapbooking twelve years ago, I jumped at the chance to document my family history while exercising my very flabby creative muscles. When I got married a few years later and became a mother a few years into my marriage, scrapbooking became even more important to me. With the advent of digital photography, scrapbooking has evolved, and traditional/paper scrapbooking has become much less popular. Now that it’s so easy to crop photos before they are even printed (if they are printed at all! ), many scrapbooking tools are bordering on obsolete. There is less of a need for high quality photo-preserving products, since photos are so easy to replace. People are moving toward documenting and organizing their photos digitally. When people do want to print photos, they often choose digital scrapbooking, which provides endless options in terms of embellishments, and takes up less space than paper scrapbooking. For people (unlike me!) 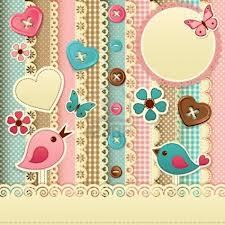 who are technologically savvy, digital scrapbooking is also much more efficient than traditional/paper scrapbooking. I have done some digital scrapbooks, and I have done some hybrid albums (meaning that I have ordered digital pages which I then inserted into a traditional album). Traditional scrapbooking remains my default, however. I enjoy the hands-on aspect of it, especially since it’s my only hobby that even remotely resembles a craft. I use scrapbooking as a way of preserving and savoring my son’s childhood, which is going by way too fast. My scrapbooks contain a lot of his artwork and memorbilia alongside photos and my observations of his development. Digital albums allow for photoscans of memorabilia, but I prefer to have the hardcopies in my albums. With these four steps, anyone with basic computer skills will be able to whip up a digital scrapbook in very little time, even years after the fact. Scrapbooking can be very helpful in processing the bittersweet passing of the childhood years by helping to savor moments that went by too quickly. Documentation of a child’s early years is a great gift for a mother to give her child, and digital scrapbooks can easily be copied and distributed to other family members as well. Any other suggestions to simplify digital or traditional scrapbooking, or other ways of preserving family memories? Claire Boeck converted to Catholicism as a teenager. In her early thirties, after many years of abandoning the Church in favor of the secular lifestyle, she returned to the Sacraments and met her husband Jerome (Jerry) shortly thereafter. They live with their young son, Jeffrey, in Latham, NY, a suburb of Albany.